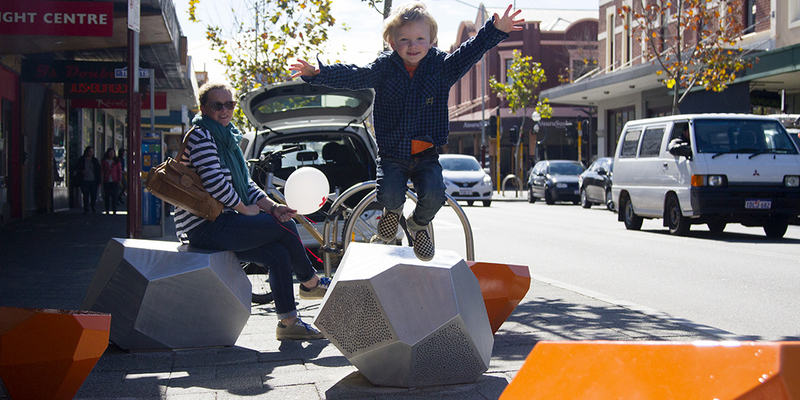 Ecoscape, in collaboration with North Fremantle artist Steve Tepper, were commissioned by the City of Perth to design a series of urban interventions or urban furniture items which are intended to activate four key sites on William Street, Northbridge. The initial phase of works included the preparation of three conceptual ideas which could be applied to each of the sites. 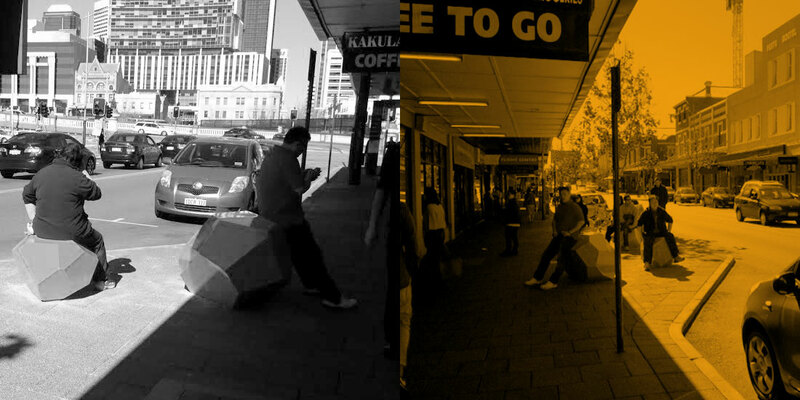 The following two concepts were accepted by the City of Perth. for their project entitled “Minor Urban Interventions: Urban Lounge”. Scrunched Paper The streetscape of William Street was once a rough and ‘grungy’ area which has since been restored by the City of Perth to become a clean and vibrant urban environment. However, uniform cleanliness can sometimes lead to a sense of sterility. 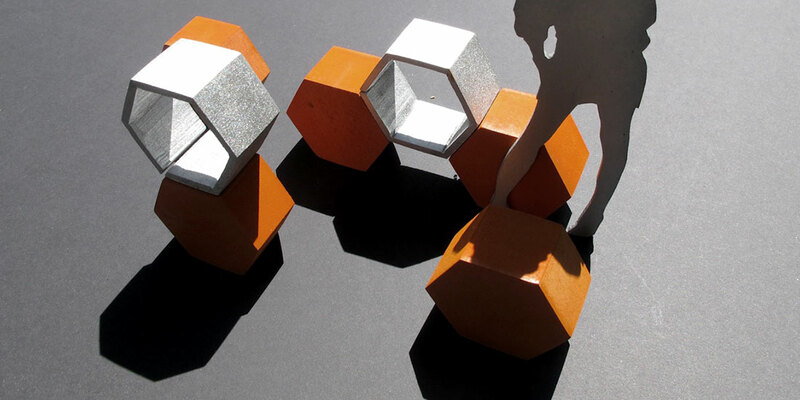 This concept takes the idea of crumpled paper to “litter” the floor with a series of seating elements. These could be constructed from brushed aluminium and coloured pre-cast concrete to create a series of durable informal benches. 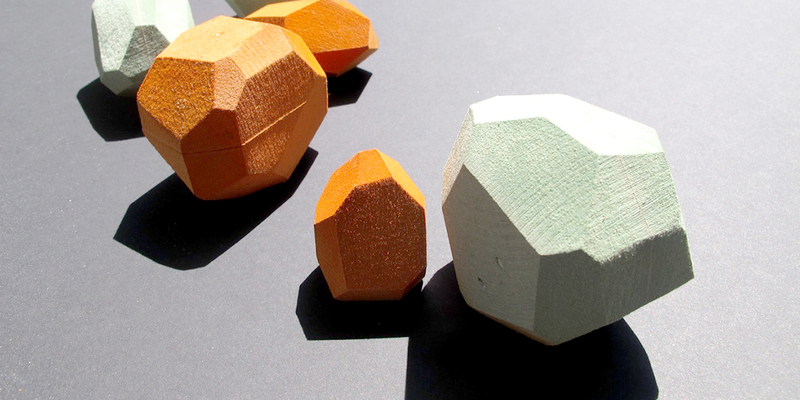 Polygonal Concept This group of informal seating was inspired by the idea of building and growing. 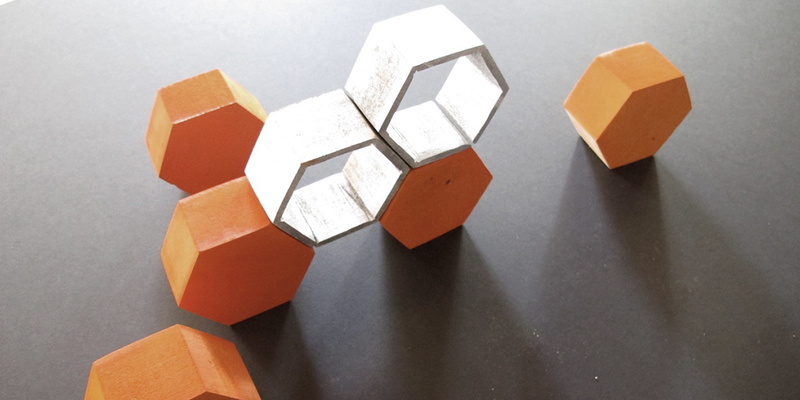 Northbridge has been able to adapt and change to the requirements of its users; in much the same way these simple hexagonal cells can be used individually or clustered, to create distinctive social pockets. The City of Perth can multiply and rearrange the units over time to allow for a changing urban dynamic. The polygonal benches can support a variety of uses. In lunch periods the geometry can act as seating, while after hours informal play is encouraged on the robust forms. 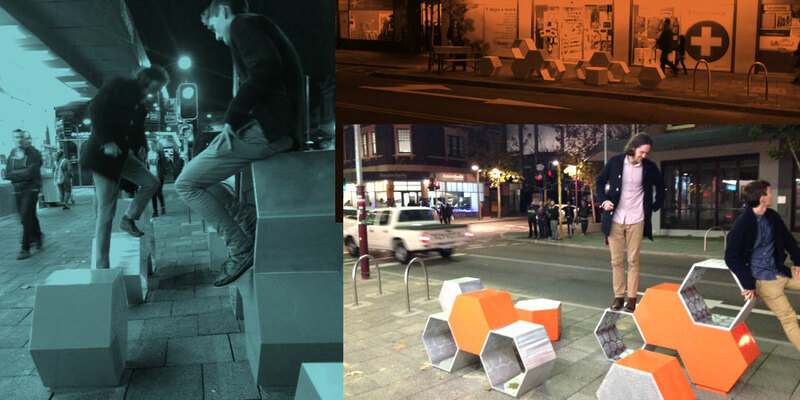 The Urban Lounges were completed and installed on William Street in August 2014.